When you are ready for a bathroom remodel, ProSource® of Boise will work beside you throughout the entire project. We believe bathroom remodels are among the most fun remodeling projects and can turn the room into an oasis. 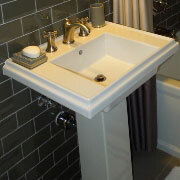 Come into our Meridian showroom today and find all you need for your bathroom remodel project. The shape and style of bathroom sinks can show a lot of personality. Allow some expression with a vessel, wading pool, or pedestal sink. We have other options and unique colors as well. Whether you want modern or traditional, bronze or stainless steel, or a cross or lever, ProSource of Boise can meet all these requests and more. 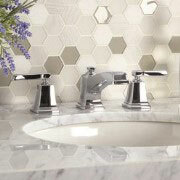 Speak with our design experts to find the sink faucet that’ll pull the desired look together. When you visit our Meridian store, you’ll be impressed with the shower doors, bases, handles, and shower heads we can provide. We’ll help you turn the shower into the refuge it should be with a design that matches your style. 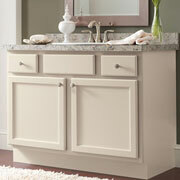 We have free-standing and built-in vanities to match most any space, style, and budgetary requirements. Vanities include everything from storage to counter space, so let our designers help you make an educated decision. 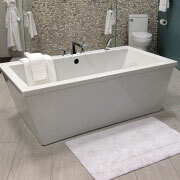 If it’s a tub-shower combo, traditional tub, jacuzzi tub, or something else altogether, we can help you find the perfect bathtub remodel for your space. Meet with our specialists to answer any questions you have. As an essential part of a bathroom remodel, new toilets should never be overlooked. 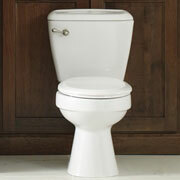 We can help you find the flush rating, bowl size, and flush mechanisms that are right for you.